The following blog post is from guest blogger, Pam Sahota of Radiate Daily! She provided reviews on some books that made a difference in her life. Hope you enjoy! I went through a phase where I read a lot of books to help me understand what more I could do in my life for happiness, motivation, and inspiration to live a healthier and better life each day. Some may call these “self help” books but I call them inspiration and words of wisdom. There are authors who I fell for over perusing these and I dare you to give them a try as well. There are more and more folks becoming entrepreneurs and wanting to be their own boss. However starting off on your own has its pitfalls and obstacles, and Sophia definitely fell a few times in her career before she got where she is today. This book (like the Netflix series) is comedic, raw, emotional, and encouraging that even if we fail and fail, we can keep hope and make it. Yes, she’s the lady who started Grey”s Anatomy, Scandal, How to Get Away with Murder and more. She’s the woman who made TGIT what it is today. But, she didn’t just land there, she had to really go with her gut, and determine what road to take. And when she decided to say Yes to more – more doors opened, and more opportunities beckoned. Ever feel like you have a need to control each piece of your life? That the lack of control could make you spiral into no man’s land? I know I do at times. Gabrielle guides her community of readers to let go a bit and trust in themselves even more. It’s not easy, but it’s definitely worth it. The book has six sections: Courage, Enchantment, Permission, Persistence, Trust and Divinity. Similar to Eat, Pray, Love it takes you through different parts of your self and areas of encouragement to do more and believe more in yourself. Even if it means breaking yourself first, to find the better you. It has been a while, and sadly I have not gotten any farther than I was when I last wrote to all of you. Still trying to get through “American Wife” by Curtis Sittenfeld and “Quiet” by Susan Cain. I am itching to finish both! 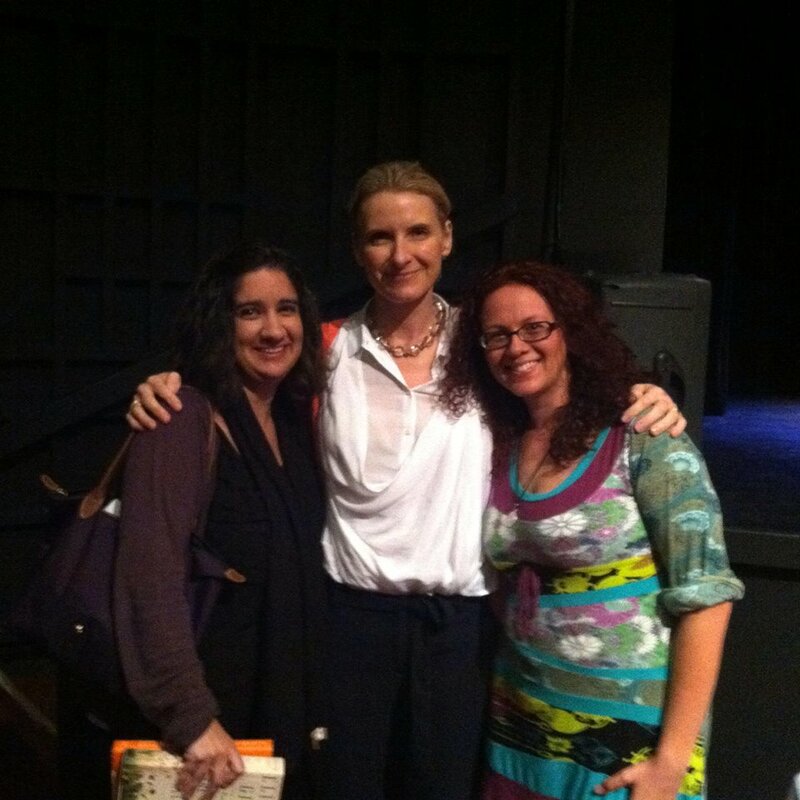 I couldn’t resist sharing with all of you about my Elizabeth Gilbert experience this weekend. 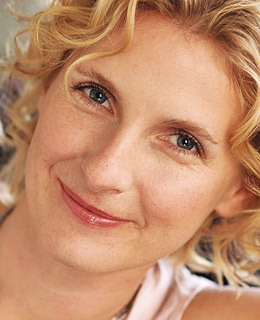 In case you have been living under a rock and don’t know who she is, she is the author of “Eat, Pray, Love.” It was a memoir she wrote in 2006 about her spiritual year-long journey to Italy, India and Indonesia. When I read that book and the book that followed – “Committed,” I continued to be inspired by her spirituality, her strength and bravery. I was so lucky this past weekend to meet her at Sacred Heart University in Fairfield, Conn., where she spoke about her newest book “The Signature of All Things” which tells the story Alma Whittaker, a botanist born in 1800 and of the Whittakers, a family of botanical explorers, during the eighteenth and nineteenth centuries. I will admit I have not read the book yet, just got it a few weeks ago, but I am excited to begin once I finish my other books. I found Liz to be just fabulous. She was funny and witty, during her talk she made some of the best of analogies that explained life perfectly – both hers and others. My friend Jaimie and I jokingly decided we had girl crushes on this author. Liz spoke to everyone who asked her a question like she knew them forever, they weren’t just audience members, but friends. 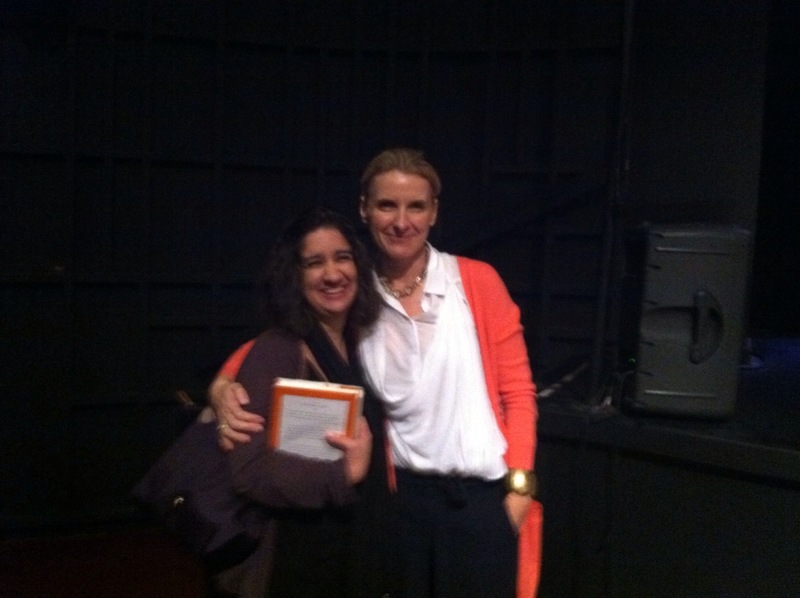 She told the mainly-women filled audience a lot of things about herself and life that I found very helpful. She said anything that you fight will fight you back. There isn’t anything more attractive than someone whose feet doesn’t fully touch the ground. She said women have a tremendous capacity to be resilient in the face of a ruin. I really just simply enjoyed hearing this woman who has traveled the world and found herself in the most spiritual of places is truly something to strive for. When I asked her about what it took to begin writing a book, she first asked me which direction I wanted to go towards fiction or non-fiction. I knew immediately I want to write a non-fiction novel, about what part of my life, I am not sure. What I loved most even days before is that this prolific author will answer you on her Facebook page, I mean I don’t know any author/celebrity person who takes the time to answer their followers. It just made her reachable and real and I just loved that. This blog post definitely doesn’t do the talk full justice, but I personally just want to thank Liz for a delightful evening filled with so many enlightened teachings. Well it’s a stormy day here in Connecticut, however the storm hasn’t hit where I live, but something is brewing. It makes for a perfect evening for reading with a hot cup of coffee. This is my heaven. I was just in Barnes and Noble and began to think about all the books I’ve read over the years and what some of my favorites have been since childhood. I thought I’d share with you my thoughts about some of my favorites! I’d also love to hear what some of yours are too! I am a child of the 1990s, so when I was young some of my major book influences were the “Babysitters Club” series by Ann M. Martin and “Sweet Valley High” series by Francine Pascal . The “Babysitters Club’s Little Sister series were always my absolute favorite as well. 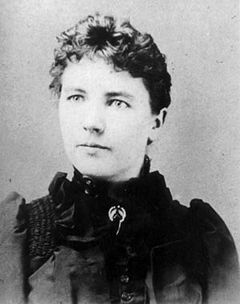 Since my childhood, I was always interested in history and my Mom ( who was also an avid reader) introduced to me to Laura Ingalls Wilder series, which I instantly gravitated towards. My favorite in this series were “These Happy Golden Years” when Laura Ingalls and Almanzo Wilder finally get together. I could read that book over and over again, often living vicariously through Laura’s life. I am probably the only one at my age that watched the television show with Michael Landon and Melissa Gilbert and truly appreciated it for what it was. Then, there was “Little Women” by Louisa May Alcott, truly one of my absolute favorite authors, as you have probably read in my previous posts. I am always inspired by this author and her life. 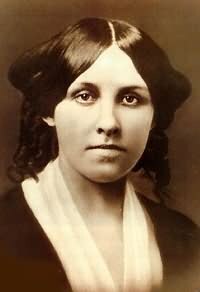 As a writer myself I feel a true connection between her and I. I am sure that is what it is like for many of you Louisa May Alcott fans. I visited Concord, Mass., last summer and it was truly a memorable experience that I will never forget. Reading fluctuated as I got older due to time and life really, while the love for it was always there, there were times I just never got to it on a regular basis. But to be a good writer I realized, you need to be a good reader of all things and so I made some changes. I can say as an adult, some of my favorite writers include Elizabeth Gilbert, author of “Eat Pray, Love” and “Committed,” Nicholas Sparks, author of “The Notebook” and many wonderful others and Wally Lamb, author of “She’s Come Undone.” Ms. Gilbert inspires me the same way Louisa May Alcott did as a child, Ms. Gilbert inspired me to want to explore different places and record them to the best I could. I haven’t traveled the world (yet) but she inspired me with her beliefs about life, her struggles and her goals. I have a strong appreciation for some of the classic writers like Ernest Hemingway, Nathaniel Hawthorne, F. Scott Fitzgerald, Jane Austen, the Bronte sisters, Mark Twain and so many others that I have yet to begin reading yet.